For over 20 years, I have worked in the field of preventative, restorative, and rehabilitative medicine, pulmonology, and physiotherapy. My scientific and medical work has been devoted to the criteria and methods of the early diagnostics of respiratory diseases, to the development and implementation of a comprehensive system of preventative and restorative treatment of diseases affecting the respiratory system, and to the development of new medical technologies and the evaluation of their effectiveness. I have designed the methods of Controlled Halotherapy and Biocontrolled Air-ion-therapy, which were successfully introduced into the medical practice and are being used efficiently by numerous medical institutions. I give lectures to doctors on topical problems of rehabilitation in pulmonology, physiotherapy, aerosol medicine, speleotherapy, halotherapy, air-ion-therapy, nebulizer therapy, and lectures on controlled respiratory environments. I would like to share my research and practical experiences with my colleagues as well as with all people who care about their health and would like to receive reliable information from experts. The priorities of my scientific research and medical practice are the use of natural treatments in modern medicine and rehabilitation. As a pulmonologist and scientist, I would like to draw the attention of the audience to this issue. Diseases of the respiratory system are one of the most common illnesses in a modern society. The seriousness of respiratory diseases, both concerning medical and social effects, is extremely high. These include asthma, chronic obstructive pulmonary disease (COPD), bronchitis, pneumonia, bronchiectasis, and cystic fibrosis. Amongst the noncommunicable diseases (NCDs), they are one of the leading causes of high numbers of sick days, disabilities, and mortalities. Research and findings from the experts suggest that the most significant factor causing the high prevalence of diseases affecting the respiratory system is environmental air pollutants that enter the respiratory tract. Scientific projections indicate that the two leading types of conditions in the 21st century will be caused by the allergies and environmental factors. Those will primarily be the respiratory diseases. Recognized achievements in the pharmaceutical industry and the drug treatments will not be able to stop the steady growth of the diseases of our civilization. More and more people are becoming aware of the harm being caused to their health by the environment, and they are searching for safe and effective methods of protection and improvement. In the recent years, and perhaps largely, for this reason, people have a demand for treatments through safe, non-medicinal means. Medicus curat, natura sanat — A doctor treats, but nature cures. Physiotherapy and non-medicinal methods have a long history of application in Russia. I became familiar with many of them and used them in treatments while working at the All-Union Scientific and Research Institute of Pulmonology in Leningrad, USSR (now St. Petersburg, Russia). Among them were fasting diet therapy, and various types of breathing exercises (Buteyko, Strelnikova, etc. ), acupuncture, electro-acupuncture, various types of massage and manual therapy, hot body wraps, auto-hemotherapy, and hirudo medicinalis. Of course, I, as a pulmonologist, was especially interested in the inhalation therapies. We used the inhalations of saline solutions, mineral water, herbal preparations, warm, humid air, and other similar substances. I was particularly interested in the inhalation therapy using the natural factors. It was at that time that I first discovered speleotherapy. Our Institute of Pulmonology had scientific contacts with the Uzhgorod Scientific and Research Institute of Balneotherapy (Transcarpathia, Ukraine), and we sent asthma patients to be treated in the underground salt speleoclinic in Solotvino (near Uzhgorod). That speleoclinic was established in a former salt mine at a depth of nearly 300 meters. While observing the patients undergoing a course of speleotherapy treatment, we studied its effectiveness and honed the indications, recommended approaches to its application, contraindications, and limitations. Many patients liked this non-medicinal method of treatment, as they were relieved from the asthma symptoms, and it allowed reducing the number of medications taken. Nevertheless, there were drawbacks. These were, primarily, the necessary acclimatization period, as well as difficulties and complications associated with staying underground. In some cases, the patients experienced exacerbations after returning home. Besides, there were numerous contraindications. Limitation of the use of speleotherapy is also associated with the duration of treatment, the small capacity of the clinics and a small number of speleoclinics themselves. The method was inherently effective but entirely exclusive and not commonly available for broader use. Our study of the atmosphere of speleoclinic and the mechanisms of speleotherapy’s action has shown that the primary factor that has a therapeutic effect is the smallest airborne particles of natural rock salt having a certain size and of concentration. This fact led us to the idea of creating similar atmospheric conditions that were more accessible to patients. Asthma patients were the first to be treated in our halochamber. Observing the patients, we identified the specifics in changes of their clinical picture and obtained relevant data from the functional tests and laboratory research. We have gradually expanded and refined the indications and contraindications and studied the effects of the dry salt aerosol on the human body. We were also steadily increasing the credibility of the method of Halotherapy among pulmonologists through its scientific and medical justification. After gaining experience in Halotherapy application, we concluded that to achieve safety and efficiency of the treatment, the concentration of the dry salt aerosol and its particle size are of the utmost importance. After the collapse of the USSR, we continued with the further development of Halotherapy, and in 1992, my colleagues and I created a scientifically substantiated method – the Controlled Halotherapy. We introduced and patented this new way of treating of respiratory diseases. It is based on the principle of selection and application of the dry salt aerosol at specific concentrations depending on the characteristics of the treated condition. As a result of the collaboration with Aeromed Ltd., an engineering company based in St. Petersburg, Russia, we created a fundamentally new generation of halogenerators, which supply the dry salt aerosol having particular physical properties into the salt rooms in the appropriate amount and control its concentration at the desired level. Before our invention, the maintenance of the dry salt aerosol concentration at the desired level in the salt room was not possible. Due to the feedback principle with the help of a concentration sensor and a built-in microprocessor, our new halogenerator made it possible to set the required concentration of dry salt aerosol for our patients and to maintain its level during the entire Halotherapy procedure. Thereby, developing the method of Halotherapy, we went through a 25-year path: from the coating of the walls with salt to the use of halogenerators with dosing of dry salt aerosol and controlling its parameters. Working jointly with Russia’s leading research institutions, we have carried out multiple studies on the justification of the mechanisms of action and the efficiency of the Controlled Halotherapy. I summed up the results of this scientific and practical work in my doctoral dissertation “Halo-aerosol therapy in complex treatment and prevention of respiratory diseases.” As a lecturer at the courses of advanced training for doctors, I am always able to “monitor” the experience of Halotherapy application and receive new information. My activities help to reveal the prospects of the method and improve the technology for various areas of its application. 25 years of experience proved that Halotherapy works, that its effectiveness is justified not only by its creators and researchers (as it sometimes happens with newly introduced methods) but also by thousands of specialists applying this method in practice. Since 1995, the innovative medical technology we developed – Controlled Halotherapy – is being widely used. Through feedback technology that couples the concentration sensor with the halogenerator’s microprocessor, real-time monitoring of the generation of the dry salt aerosol is carried out. Its quantitative and qualitative characteristics are maintained taking into account the salt room volume, the number of patients in it and other factors influencing the state of the dry salt aerosol environment. Controlled Halotherapy ensures differentiated dosing and monitoring of the level of dry salt aerosol concentration in the course of the treatment procedure. This is very important, as it allows us to substantiate the treatment, improve its effectiveness and safety, and optimize the timing of its appointment. Controlled Halotherapy is officially authorized for medical use in Russia, Ukraine, Estonia, Latvia, and Lithuania. The method is presented in textbooks for students and doctors; it is included in the courses for the advanced training of physicians, physiotherapists, and balneologists. We have repeatedly been presenting our innovative technology of Controlled Halotherapy at scientific forums of the Russian Respiratory Society, the Russian Society of Paediatricians, the European Respiratory Society (ERS), the International Society of Medical Hydrology, Balneology, and Climatology (ISMH), International Society ‘Interasthma’, and at the leading Russian and international exhibitions of medical and healthcare equipment in Moscow, St. Petersburg, many other Russian cities, in Richmond, Hannover, Dusseldorf, Stuttgart, Bologna, and others. Its effects are scientifically based. It provides the ability to choose and control the parameters of dry salt aerosol. Its clinical effectiveness is proven, as confirmed by numerous studies and practical use in various fields of medicine: pulmonology, allergology, pediatrics, otorhinolaryngology, and dermatology. In Russia, salt rooms where Controlled Halotherapy is applied have been installed in thousands of hospitals and clinics, businesses, nursery schools, schools, and rehabilitation centers, and spas. Salt rooms began to appear outside of Russia and the Baltic countries about 10-12 years ago. In contrast to Russia, where the method was created and introduced by the scientists and used by the doctors, in other countries there is a different path of development. The first salt rooms were constructed by builders and were immediately available for commercial use without any reasonable professional supervision. People were attracted to the external imitation of the salt caves having various catching designs. Despite the lack of the most important thing, namely the dry salt aerosol, the owners of such facilities often proclaim their ability to cure asthma, allergies, and many other illnesses in their salt rooms. The term “Halotherapy” came into fashion, but it was being used in the entirely wrong way. These unscrupulous offers which practically substitute the concepts, introduce confusion and distrust and are discrediting the method of Halotherapy, giving rise to sharp criticism within the medical community. My friends and colleagues sometimes reproach me, telling I provide not enough information regarding Halotherapy. I would like to say that in the 20-year period, I have written over 200 scientific publications, chapters in monographs and textbooks, made dozens of reports and presentations at professional forums. However, this information is often available only in the professional circle. At present, a quantitative leap has currently taken place in this field: Halotherapy has become a phenomenon. It is a phenomenon on a large scale and has many sides to it. With the expectations of commercial success, many people were caught up in this event, building a multitude of salt rooms. Outside of Russia, salt rooms are acquired and operated in the overwhelming majority of cases by the people who are not connected to medicine in any way. I will not categorically state that this is improper and unacceptable. Finding something positive in everything is possible. After all, for Halotherapy to help many people in need, it has to be used widely. This goal means that it should be used in the fields of rehabilitation and respiratory care, and not only in authorized medical facilities, as has happened in Russia. However, we should not forget that Halotherapy must not cause harm, primarily as it develops into a mass phenomenon. Millions of people, not having background knowledge or qualifications, use the Internet’s deluge of data, in which it is possible to drown trying to find reliable information on the subject. Currently, many varieties of salt therapy are offered on the market, which many call “Halotherapy.” The fashionable trend of salt therapy and the lack of reliable information about Halotherapy have led to the commercial spread of techniques often based on the pseudo-scientific information. Of the hundreds of salt rooms built in Europe and the U.S., only a few have modern equipment for the full, efficient, and safe realization of the method of Controlled Halotherapy. Looking through videos on the YouTube, I was surprised to see salt rooms that looked like they were designed for entertainment, not having any aerosol generating equipment at all, where children played with salt, and the adults just relaxed. At the same time, it claimed to heal a variety of diseases, and that it was the genuine Halotherapy. This situation hinders the advancement of Halotherapy and arouses distrust in the medical community. I believe that Halotherapy being based on already available substantial scientific research and clinical experience has an excellent potential for use in other countries. Of course, it is necessary to gain personal experience and to determine the appropriate niche within the medicine and the rehabilitation areas, taking into account the traditional features of all the countries where this method will be used. Due to the possibility of a differentiated approach, Controlled Halotherapy has the potential to be used in clinical medicine, industrial medicine, and the health resort industries, as well as in cosmetology. This method can become an active technique of the general respiratory hygiene in the rehabilitative and preventative respiratory care. In recent years, Halotherapy has been used in the spa industry in many countries. There is an excellent potential for the use of Halotherapy in the family, and, especially, in children’s rehabilitation. Practically, every field of medicine and rehabilitation could benefit from the use of the unique healing properties of the dry aerosol of sodium chloride. To promote various non-medicinal methods, including, of course, Halotherapy, more efficiently and correctly, we have established the “Institute of Respiratory Hygiene and Halotherapy.” The Institute provides information support for technologies used in the rehabilitation of the respiratory system, develops guidance application programs, and informational products on Halotherapy. By creating this site, I have set the goal of introducing Halotherapy to a broader audience, using the knowledge I have accumulated over the years of my career. Without claiming comprehensiveness, I would like to help in the search for strong expertise in the areas where I have scientific and medical experience, and in which I can explain the actual situation and act as an expert. Definition of the Controlled Halotherapy, dry salt aerosol, mechanisms of action, efficiency, and realization. 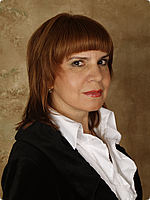 Articles and publications on Halotherapy by prof. Alina V. Chervinskaya available for download in PDF-format. Practical experience of the Controlled Halotherapy application based on the results of clinical studies.